TESTA ROSSA (AUS) (Bay 1996-Stud 2001). 13 wins-5 at 2, VRC Lightning S., Gr.1. Sire of 947 rnrs, 698 wnrs, 63 SW, inc. Ortensia (WATC Winterbottom S., Gr.1), Rostova, Testafiable, Fontelina, Amelie's Star, Twilight Royale, Ranger, Sistine Angel, Testa My Patience, Vormista, Jiang - Blue Genes (H.K. ), Unencumbered, Speediness, Red Colossus, Testashadow, Publishing, The Bowler, Weregoingtogetcha, Heart Testa, Pane in the Glass, etc. Testa Life (f. by Testa Rossa). Winner. See below. FIRE UP FIFI (Bradbury's Luck). 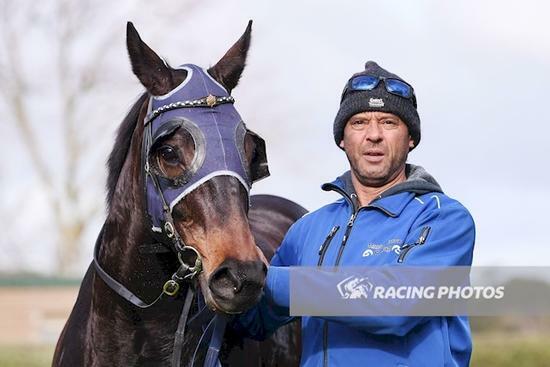 12 wins from 1050m to 1800m, A$686,925, VRC Blazer S., Gr.2, BRC Just Now H., L, Spear Chief H., L, Qld Tatt's RC Mercedes-Benz Mile H., L, BRC Mount Franklin H., Madison Cleaning Services H., HLB Mann Judd H., Skyracing.tv H., Coca-Cola Amatil P., Bollinger H., Qld Tatt's RC Hamilton Hotel H., 2d BRC Mittys H., Ipswich TC TL Cooney H., Qld Tatt's RC Des Lambart Memorial H., 3d VRC Myer Classic, Gr.1, WATC Railway S., Gr.1, BRC Sprint H., Gr.3, GCTC Prime Minister's Cup, L, BRC PMP Limited 3YO H., IPCQ H., Skyracing.tv H., 4th BRC Dane Ripper S., Gr.2, Bernborough H., L.
Tidy Trim. 3 wins to 1100m in Aust. Producer. Big Guy. 3 wins from 1300m to 1700m in Korea. Beautiful Trim. Winner. See above. IDENTITY (Personal Flag). 10 wins at 8½f, 1½m, US$416,444, Belmont Ashley T Cole H., L, Saratoga West Point H., L, Keeneland Allowance, 2d Belmont Kingston H., L, 3d Calder WL McKnight H., Gr.2, Belmont Kingston H., L, Mohawk H., L.
Nasty Brush (Broad Brush). 9 wins from 1m to 8½f, 3d Evangeline Mile H., L.
STORM FLAG (Mountain Cat). 4 wins-2 at 2-to 6f, Calder Toga Toga H., L, 2d Calder Azalea S., Gr.3, Supah Jess S., L. Producer. Big Sid's Party (With Approval). 10 wins from 7f to 9f, US$349,221, Aqueduct Allowance, 2d Aqueduct Stymie H., L.
NASTY LETTERS (Nasty and Bold). 6 wins. See above. AN IMPRINCE (Imp Society). 14 wins-2 at 2, Thistledown Shaker Heights H., L, 2d Thistledown Ohio Heritage S., L, Juvenile S., L.
ADAM CAT (Demidoff). 16 wins from 6f to 8½f, US$286,703, Charles Town Potomac H., L, Laurel Hoover S., L.
LEVA MAE (Emancipator). 3 wins-2 at 2-at 4½f, 6½f, Charles Town West Virginia Nutrition Breeders' Classic S., L, Golden Gull Chris Brown Memorial S., L. Producer. FOREVER JOE (Demidoff). 5 wins-2 at 2-to 7f, Charles Town West Virginia Vincent Moscarelli Breeders Classic, L, 2d Charles Town Tri-State Futurity (c&g), L.
JOEFOREVER (Becker). 4 wins to 7f, Charles Town Robert G Leavitt Memorial H., L.
DISTINCT REALITY (Distinctive Pro). 8 wins-4 at 2, US$316,679, Belmont Tremont S., Gr.3, Meadowlands Little Lion S., L, Passaic County S., L, 3d Saratoga Sanford S., Gr.3. Sire. SMOKIN JOE BLOW (Crafty Prospector). 18 wins-2 at 2-from 6f to 8½f, Woodlands Juvenile S., L, 3d Fair Grounds Old Hickory S., L.
DETOX (Dr Blum). 9 wins-1 at 2, US$339,443, Aqueduct Hollie Hughes H., L, 2d Finger Lakes Breeders' Cup H., Gr.3. Sire. STUNNING STAG (Running Stag). 11 wins from 6½f to 8½f, US$999,877, Woodbine Autumn S., Gr.2, Vigil S., Gr.3, 2d Woodbine Autumn S., Gr.2, Seagram Cup, Gr.3-twice, Eclipse S., Gr.3, 3d Woodbine Autumn S., Gr.2, Durham Cup, Gr.3, Eclipse S., Gr.3. NIGHT TIME FUN (Windsor Castle). 2 wins at 4½f, Charles Town Its Binn Too Long S., L.